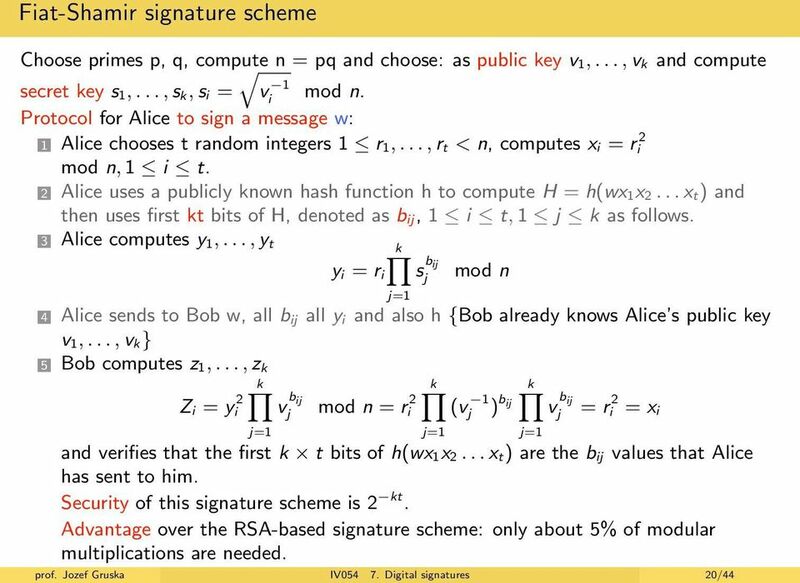 Download "Part VII. 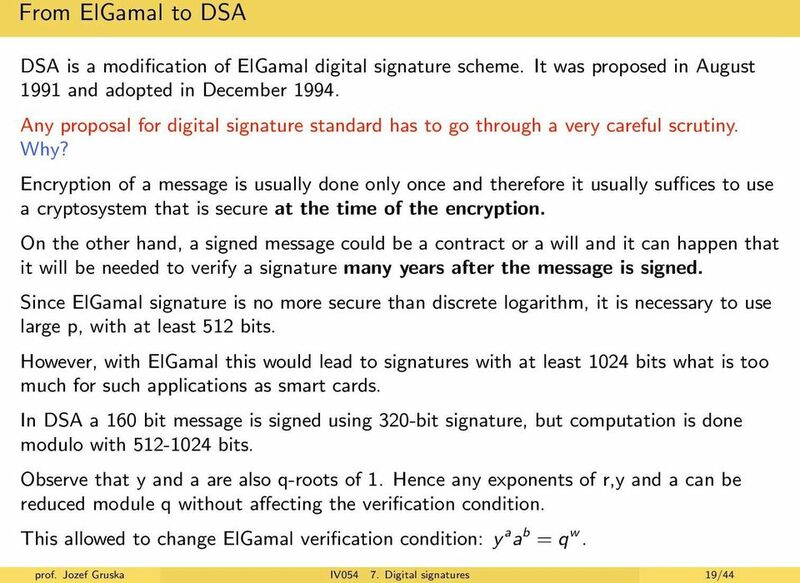 Digital signatures"
1 Digital Signatures. 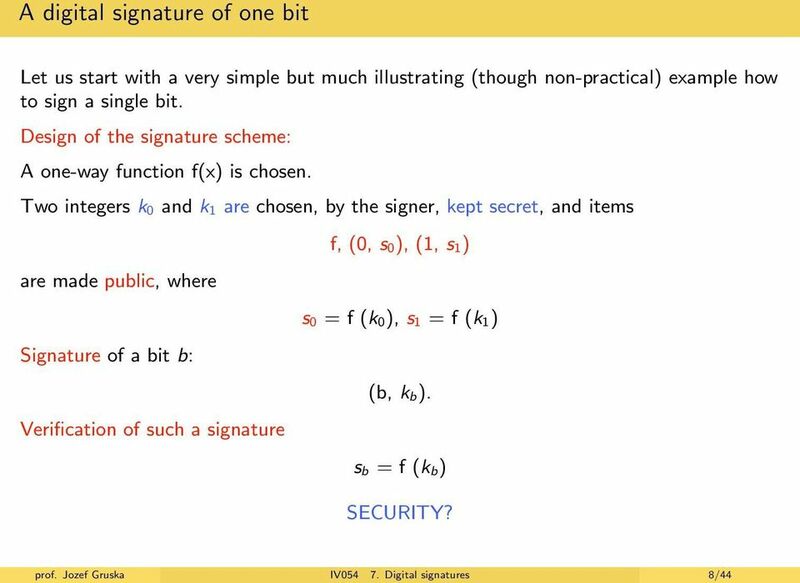 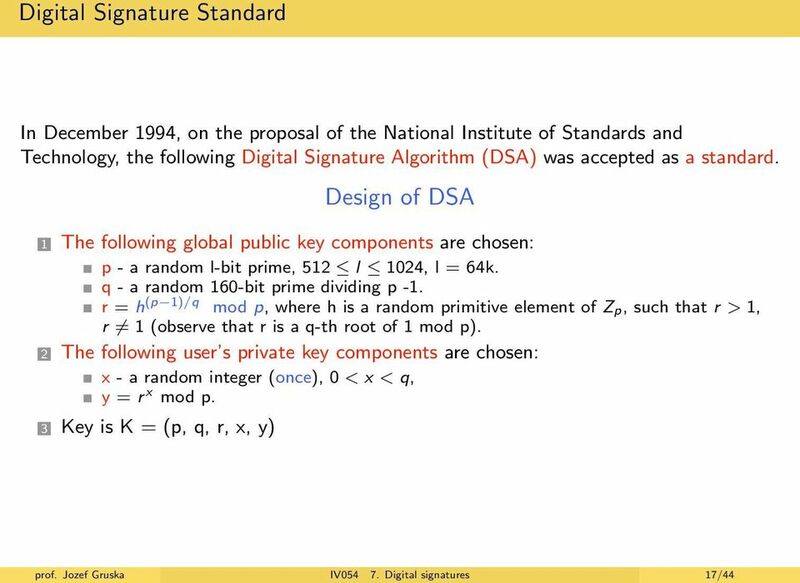 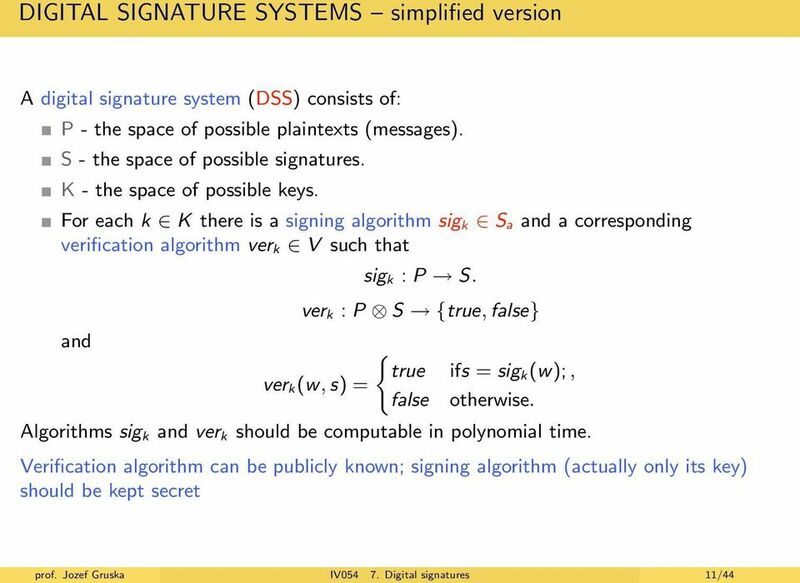 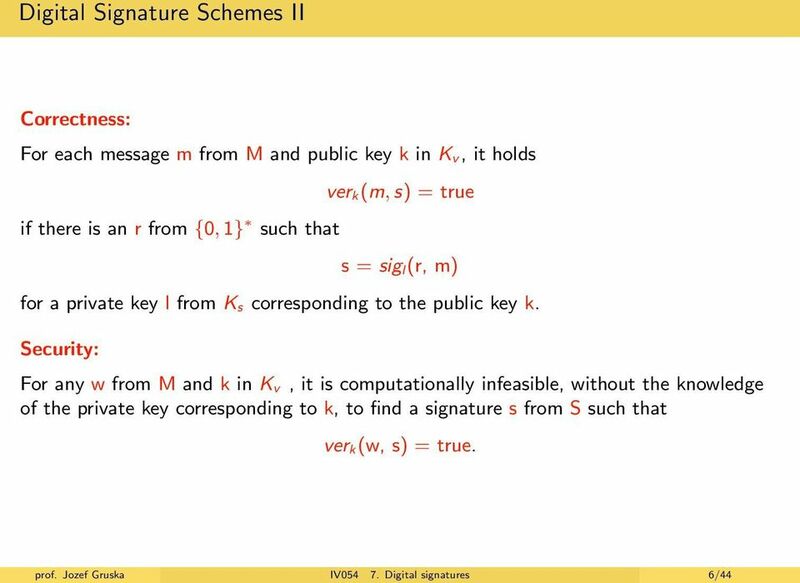 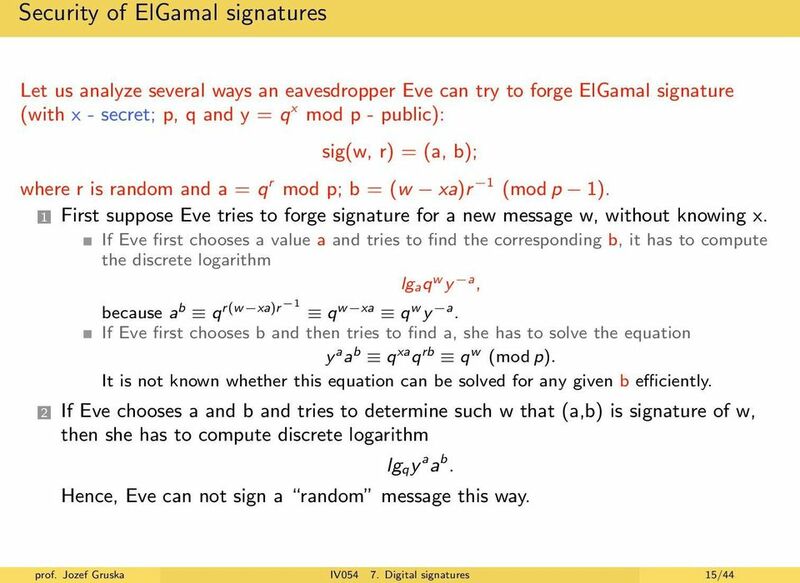 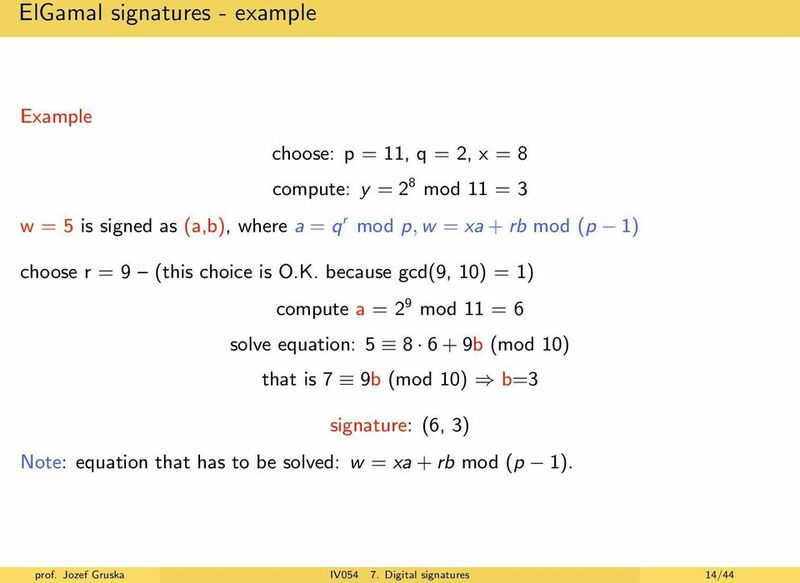 1.1 The RSA Function: The eth Power Map on Z n. Crypto: Primitives and Protocols Lecture 6. 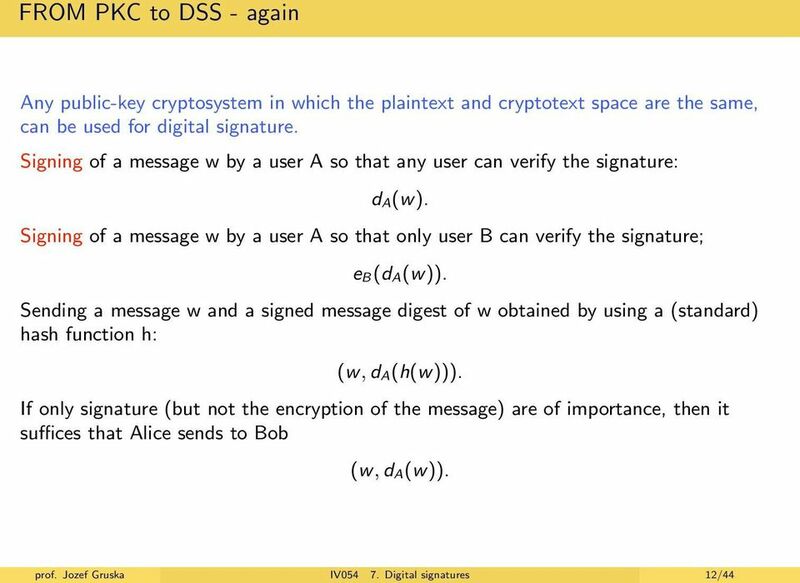 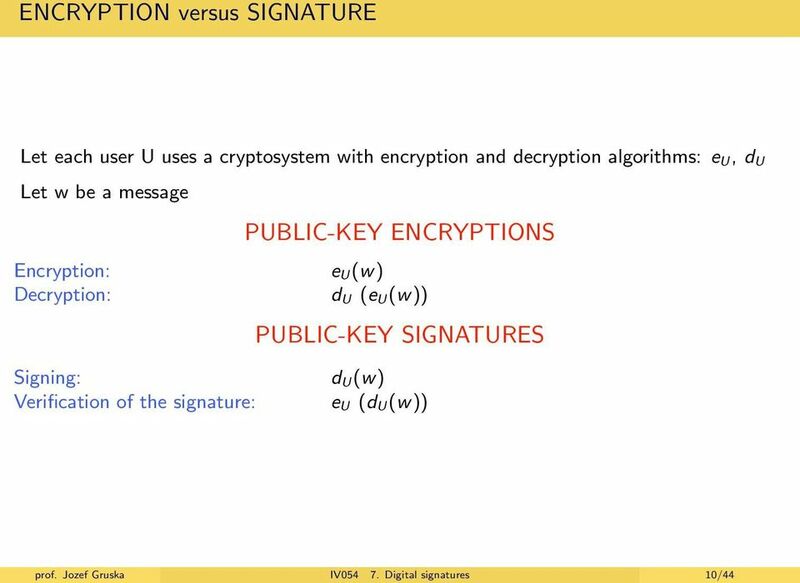 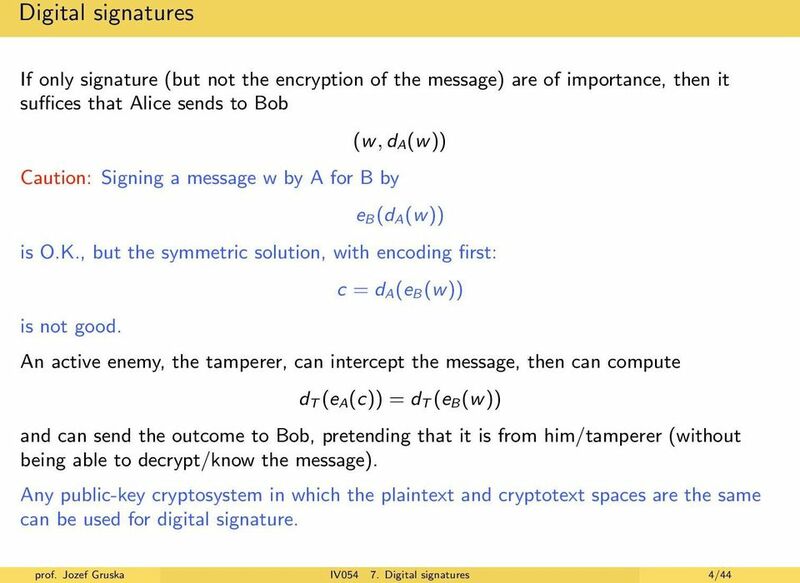 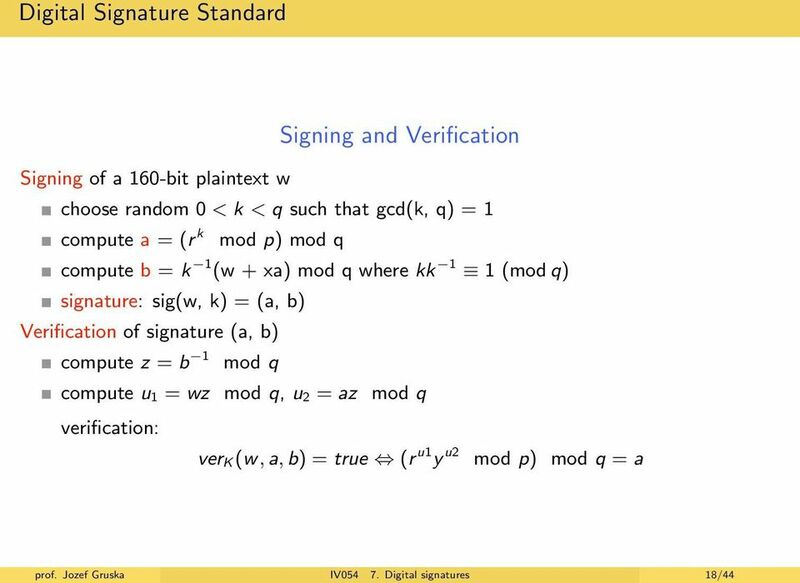 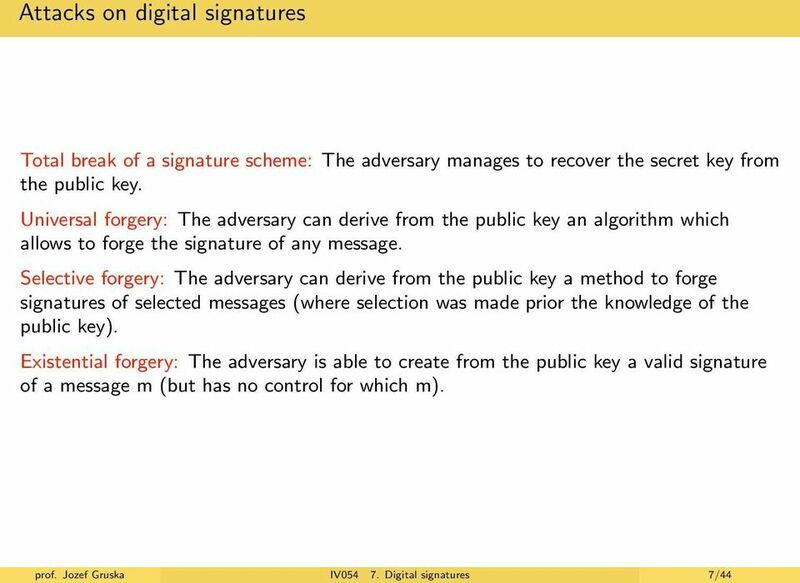 Lecture Note 7 AUTHENTICATION REQUIREMENTS Sourav Mukhopadhyay Cryptography and Network Security - MA61027 In the context of communications across a network, the following attacks can be identified: 1. 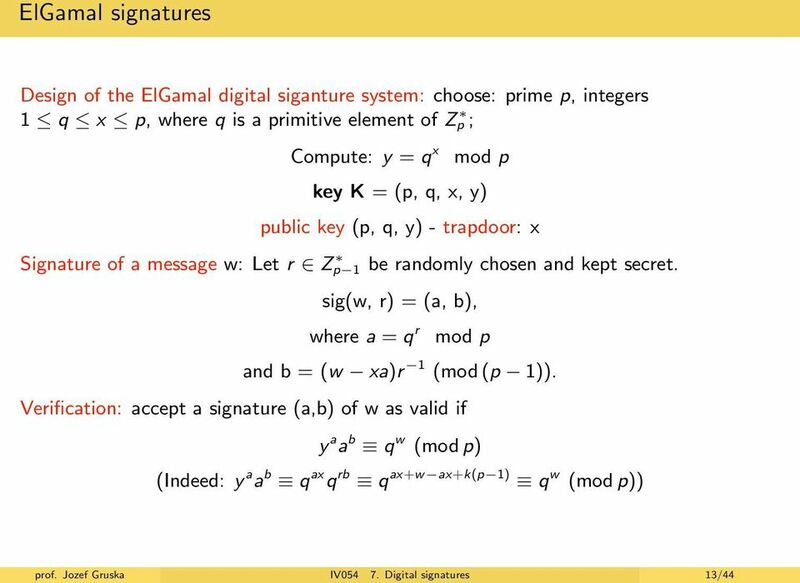 Lecture 15 - Digital Signatures Boaz Barak March 29, 2010 Reading KL Book Chapter 12. Review Trapdoor permutations - easy to compute, hard to invert, easy to invert with trapdoor. 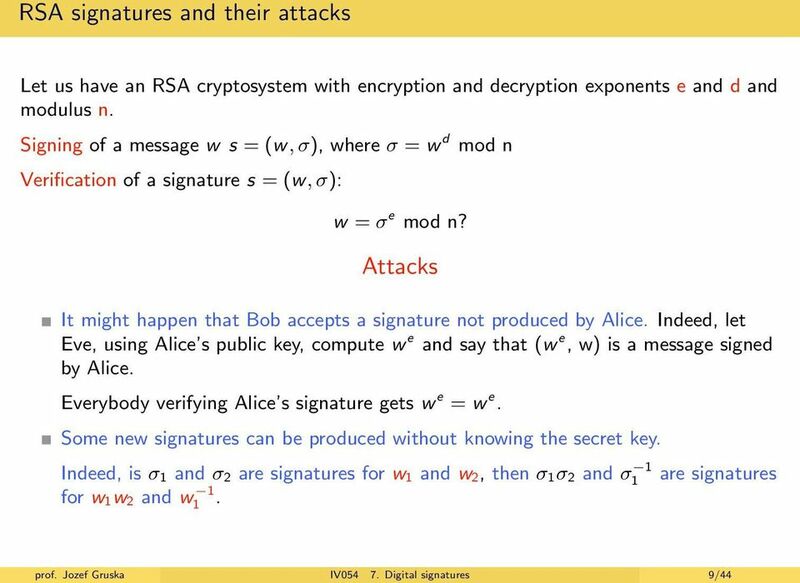 RSA and Rabin signatures. 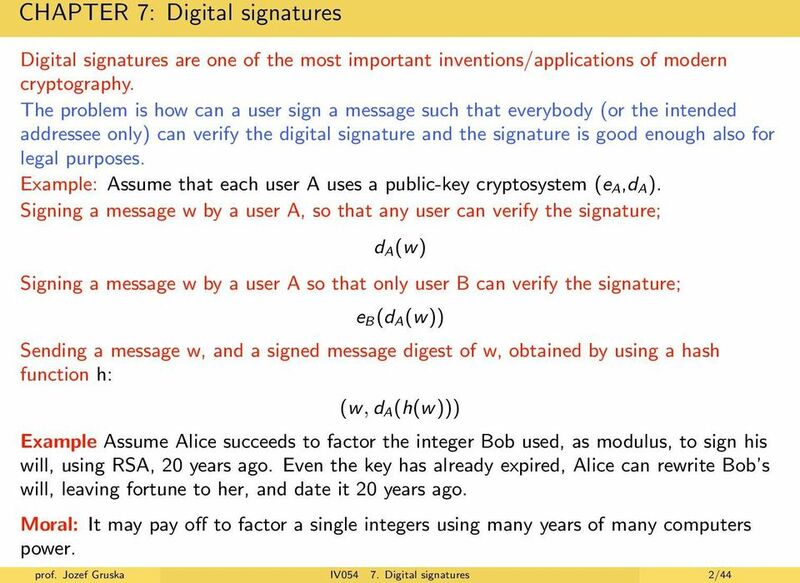 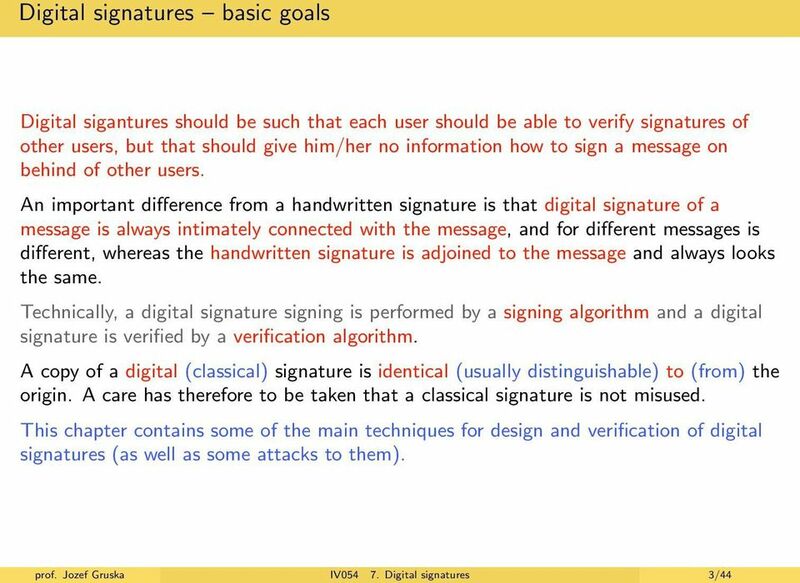 Digital Signatures. 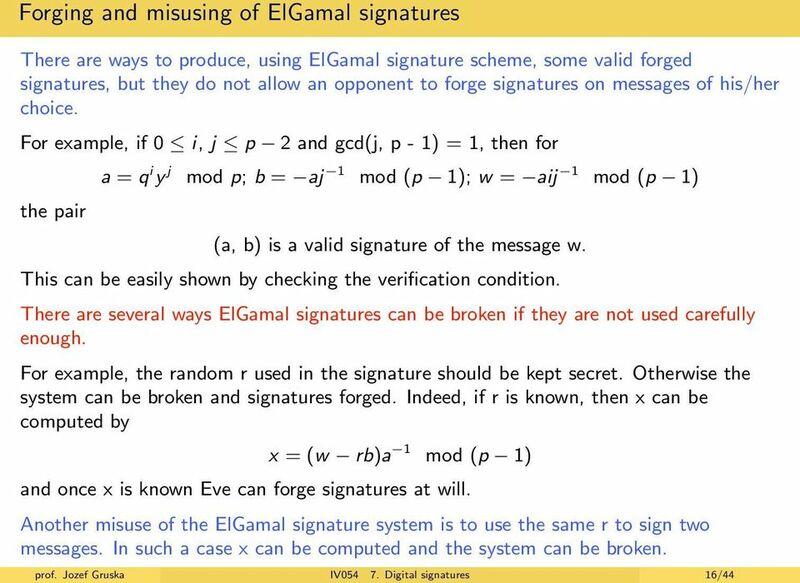 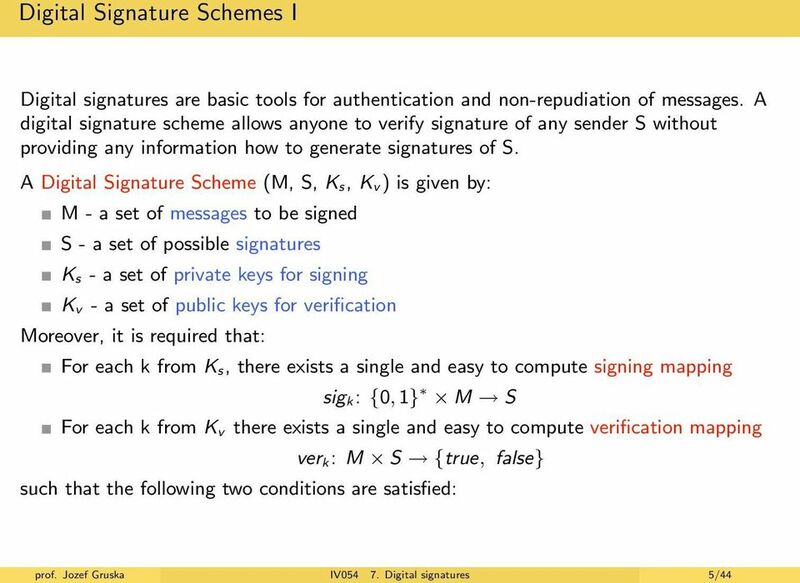 What are Signature Schemes?